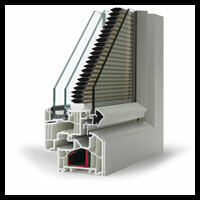 Looking for new windows? then look no further. 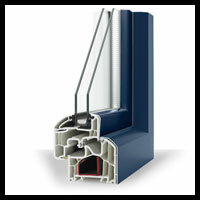 Glass Design and Build can offer you a vast selection of new windows. From a traditional collection using the finest materials and techniques, we can create the elegance of real wood without the need for time consuming maintenance work. 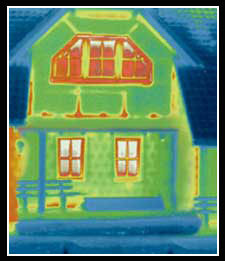 We incorporate the best in energy saving glass to reduce heat waste and cut down on energy costs. Polished Titanium complemented with heated glass and blinds that are incorporated into a single sealed unit? 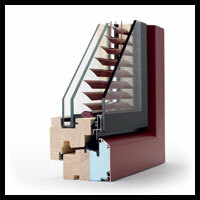 Sliding and bi-folding windows that can be motorised for added luxury and ease of use? Or maybe you would like one of our alarm systems that can be concealed within the window frame with a glass protection monitoring system? Whatever you desire we can provide! This is just a tiny example of what we have to offer so please feel free to contact us today to find out more. 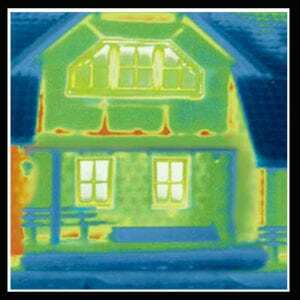 On the right is a thermal image from a typical non double glazed home and on the left the same property after thermal efficient double glazed windows have been installed, as you can clearly see the heat retained with the new windows far exceeds that of the before picture.